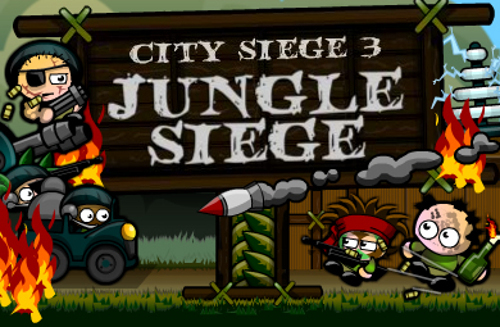 Description The Baddies are back in the third installment of the City Siege games. This time they are trying to take over the Jungle, build your army and put a stop to their antics! Controls Click units to select them, use WASD or Cursor Keys to control the selected unit, Mouse to aim and fire. There is a glitch in this game: I can't stop playing!